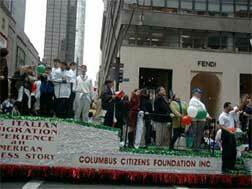 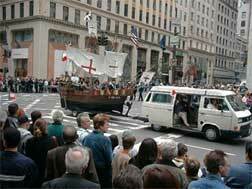 Italian Americans in New York City celebrated Columbus Day with the 55th Annual Columbus Day Parade. 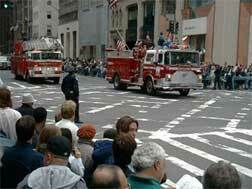 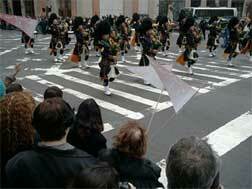 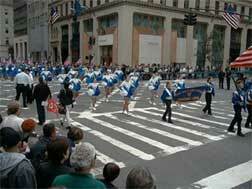 The Parade started off at Fifth Avenue and 46th Street. 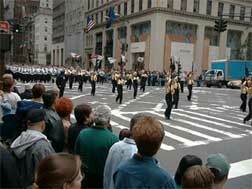 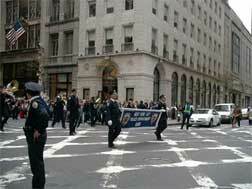 Bands, floats and civic groups then marched up Fifth Avenue to 79th. 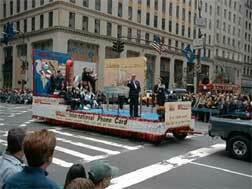 Thousands of New Yorkers of every ethnic group attended the parade, as well as many politicians, including Mayor Rudolph Giuliani and Governor George Pataki.